Hi Everyone. I have been having fun playing around with more great images from Scrap N Dipity. 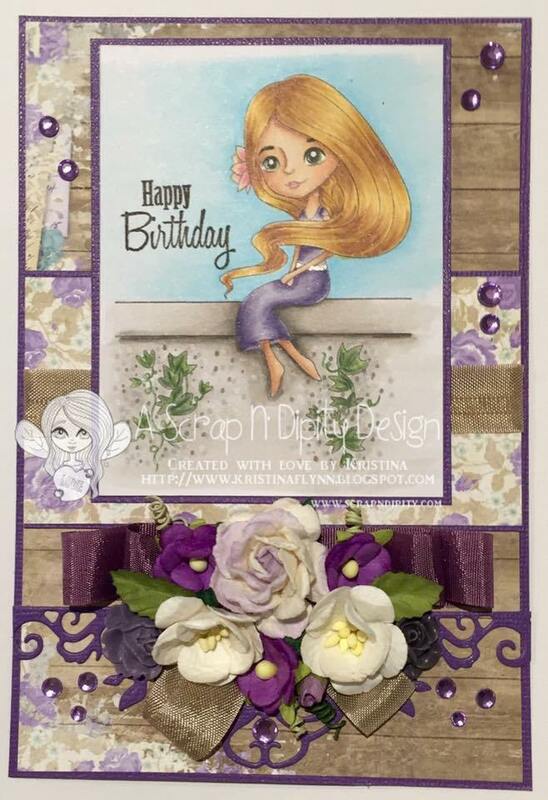 So today I would like to share with you a card made with the image called - Rapunzel. For my card she is coloured with copic markers, however I did use a very sharp green pencil to do a very thin line of colour around her iris. I then teamed the image up with patterned paper from Bo Bunny - Penny Emporium Collection, and also lots of lovely flowers and some ribbon. Have a great day, keep warm and keep colouring!